I’m thankful that Worthington is a school district that values the whole child. A school district that expects progress from all students and success on state assessments, but also a school district that is willing to take significant time out of the school day so that students have well-rounded experiences such as the Worthington Hills Sixth Grade Musical. Last night the Worthington Board of Education gave the green light for the creation of the Worthington Academy. The Academy Aspire program, under the leadership of Jeff Maddox, is being developed to provide an alternative educational setting for Worthington high school students that meets appropriate educational, developmental and social needs as well as providing connections with outside schools and agencies if the student desires. This personalized program will allow students to complete their high school studies with a blend of online and face-to-face education in a small, individualized setting. I’m thankful that the Worthington Board of Education supports this work in developing an alternative to serve our students who are at-risk in our traditional high schools, and I’m thankful that we’ll have a program in place for next year that will better support our students. 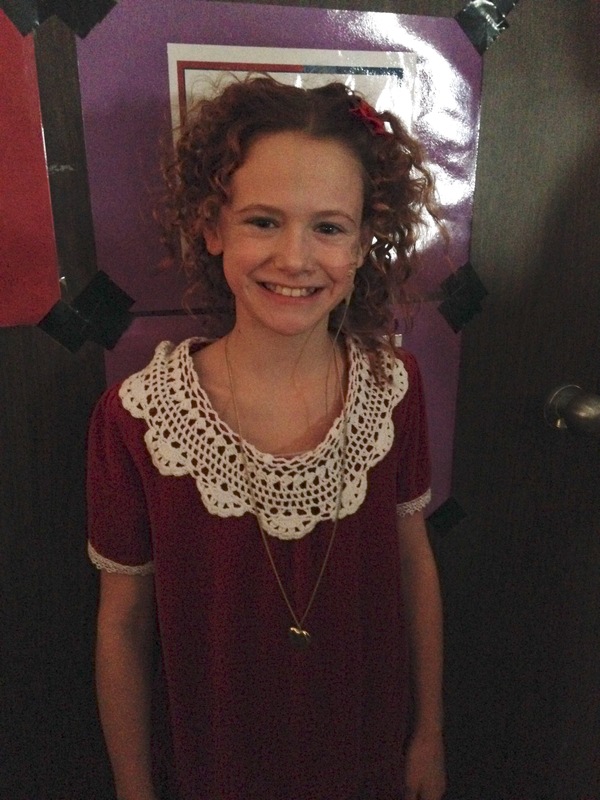 We have a lot to be thankful for in Worthington Schools. These are only two examples from the past week. What are you thankful for this week? 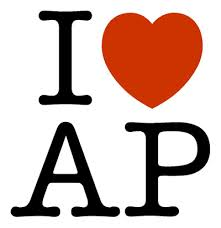 On behalf of the College Board and our wonderful community, I am pleased to congratulate Worthington Schools as one of 547 school districts in the nation recognized by the College Board with a place on its Fifth Annual AP® District Honor Roll for opening AP classroom doors to a significantly broader pool of students, while maintaining or improving the percentage of students earning scores of 3 or higher. This is an inspirational benchmark for Worthington Schools. Kudos to our teachers, administrators and classified staff for supporting the continued growth and achievement in our students. The Worthington Schools Technology Plan calls for all Worthington students to have access to a personal mobile device by 2017. Worthington Schools will be providing mobile devices in schools at a ratio of one device for every 2.5 students. All elementary schools in Worthington currently meet these ratios. We’ve begun our secondary school roll-out and this will continue into next school year. In addition, Worthington Schools will be creating mobile device lending libraries at each school so that students who do not have their own device, or access to a device in their home, can check out a device from school and continue their learning at home. Worthingway Middle School will be the first school to pilot a lending library beginning this month! With the mobile device roll-out combined with lending libraries at each school, roughly 4,400 mobile devices will be available throughout our school district. This is an outstanding start towards mobile learning for all students. Our technology plan calls for the gap between 9,600 students and 4,400 devices to be filled with students bringing their own technology to schools. Many students today are comfortable completing their schoolwork on a variety of devices. Our students use smartphones, tablets, laptops and chromebooks successfully. The technology plan should allow for any of these devices to be used at school. As a school district the majority of the devices we are purchasing right now are chromebooks. We find that the chromebook is fast, reliable and cost effective. Because we are now a Google Apps for Education school district this is a very effective device for education. Many parents have asked about purchasing a chromebook for their child to use at home and at school. 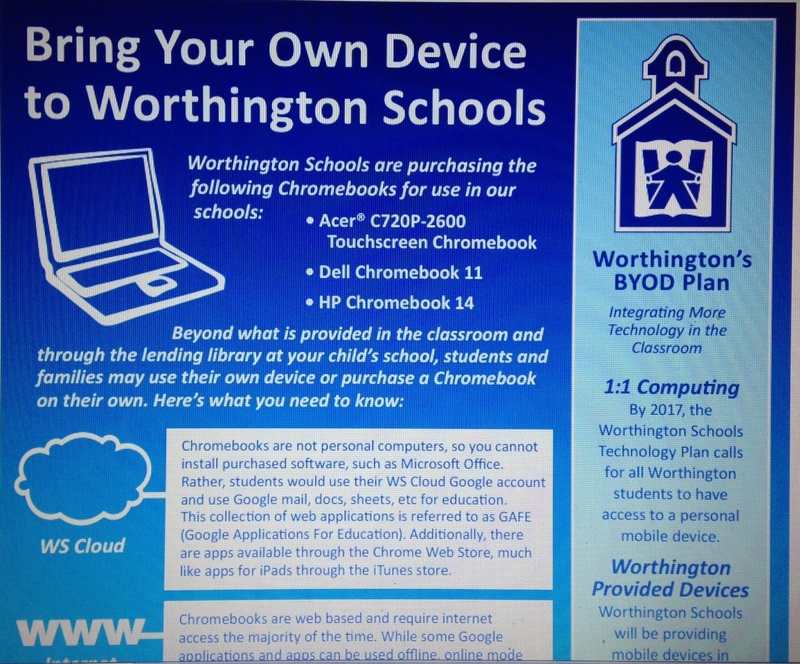 With that in mind we have created a chromebook purchasing flyer that should help families make purchasing decisions. As a district we looked at partnering with a vendor to make purchasing simpler for our families. In the end we determined that it is best if parents make their own purchasing decisions and use the vendor of their choice. Not all families will decide that purchasing a device is right for their child and many of our families cannot afford to make this investment. However, many in Worthington should consider purchasing a device which will help personalize their child’s education and provide them access to a wealth of digital learning materials. This chromebook flyer is our first attempt at communicating good BYOD options for families to consider. If you’re thinking about making a purchase for your child or your family, check it out here. Yesterday was election day across the United States. In Worthington because many of our schools are used as polling locations our students were not in school. 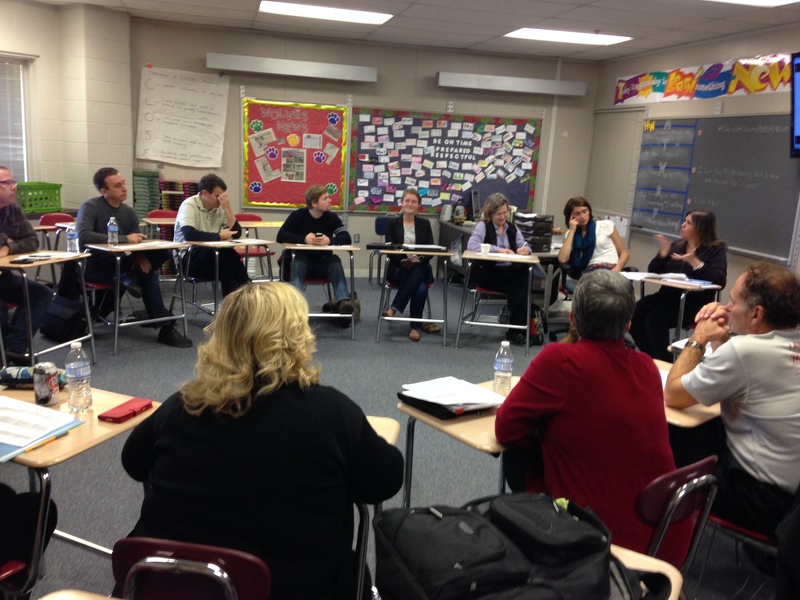 While students were home, our teachers and many of our support staff were at work. We had a very productive day! The morning consisted of two learning blocks: one with building colleagues and one choice session with colleagues from across the district. Over 35 choice sessions offered opportunities for teachers to increase their skill in the use of resources such as Fundations, Stepping Stones, Pasco Sparks, and Google Apps for Education; to build their understanding of instructional approaches such as Universal Design for Learning; or to collaborate with colleagues around topics such as Literature for the K-3 Kodály (that’s music) Classroom and the development of integrated performance assessments in our world language courses. If you happened to be driving on Hard Road around noon yesterday, you probably noticed teachers lined up to select from among the delicious options available from four different food trucks and then enjoying lunch and conversation with colleagues. The afternoon was reserved for the ongoing work of Professional Learning Communities, many of which are focused on aligning curriculum and implementing best practices such as formative assessment, data analysis and application, literacy across content areas, and the building of background knowledge and vocabulary acquisition. As educators, we are thankful for opportunities to learn together so that we can be better for our students. Please look for evidence of us promoting deeper levels of thinking and working to make that student thinking visible. And, if you happen to be on Twitter, check out #FI14 for some visible examples of yesterday’s work in Worthington Schools.